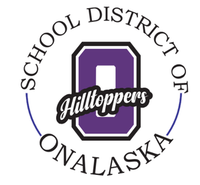 Onalaska School Board members are elected in accordance with Wisconsin Statute 120.06. Elections are held in April each year. Members are elected for a three year term. Citizens interested in running for the Board need to circulate nomination papers and file the campaign registration statement and declaration of candidacy no earlier than December 1, 2018 and no later than 5:00 p.m. January 2, 2019. Forms should be returned to the District Office at 237 2nd Ave S.